Safety and connectivity for cyclists and pedestrians travelling in and out of Perth’s eastern suburbs is being improved with the State Government announcing upgrades to the path along the Perth to Midland railway line. 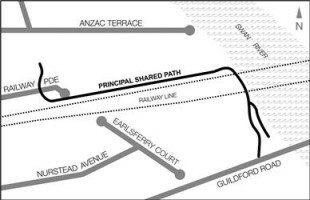 Transport Minister Dean Nalder said work would begin this week on upgrading the cycle and pedestrian path between the eastern end of Railway Parade in Bassendean and the Guildford Road Bridge. The $2.5 million investment into a 330 metre section of road and rail reserve will take about six months. 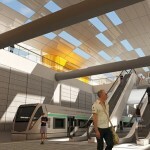 It involves widening the path to three metres and installing lighting, signage and drainage. This project is funded by the State Government under the Western Australian Bicycle Network Plan 2014-2031, which aims to make Western Australia a place where cycling is safe, connected, convenient and a widely accepted form of transport. “It’s part of Perth’s culture for people to ride for commuting purposes, exercise or leisure. Since 2011, we’ve seen the number of cyclists using our paths increase by 32 per cent. That is not only good for health, but takes cars off our roads and improves traffic flow,” Mr Nalder said.